There are literate, widely-read booklovers in this world who have not read All About H Hatterr. I know of their existence; I have even met some, but the thought that they exist is chilling. It’s like meeting people who have never read Tristram Shandy, or Gormenghast, or found themselves hallucinating, as Hatterr fans do, about swamis and multiple exclamation marks. This has nothing to do with literary snobbery. GV Desani’s 1948 classic appears with dreary regularity on lists of books you must absolutely, positively read in order to be considered truly literary, and his astonishing hero has influenced writers from I Allan Sealy to Salman Rushdie. But the real reason for anyone to read Hatterr has to do with a quality rarely cited in critical texts—never again will anyone write a book with so much exuberance. Desani, for instance, didn’t. His next work was the mystic Hali; and then he retreated into the comfortable life of the author-recluse. And in 2000, in the blurred newsprint of the obituary section of an Indian newspaper, next to the Antim Ardas and In Fond Remembrance notices, a brief postage stamp sized picture of a blurred, young Desani alongside two brief lines informed us of his death. By then, the image of Desani the writer had blurred along the edges as well, and All About H Hatterr had plunged into the obscurity of the remainder bin from which it would need (and receive) repeated rescues from its fans in the publishing and literary world. Hatterr fans are a lonely breed today. We know not just the famous lines—“Damme, this is the Oriental scene for you!” “Sir, I identify it (the novel) as a gesture. Sir, the rank and file is entitled to know.”—but all the lovely obscure bits about swamis who trade in secondhand clothes stolen off their disciples and the fact that Desani managed to fit 13 exclamation marks into one paragraph. There is something slightly deranged about us, and a tendency (as you will have noticed) to digress, that we share with H Hatterr Esquire. “The Issue: The following answers the question: Who is H Hatterr?” unleashes Desani’s torrential prose, and his unmatched ability to beguile you into trickster territory, holding your attention for three pages until he answers the question—sort of—on the fourth. 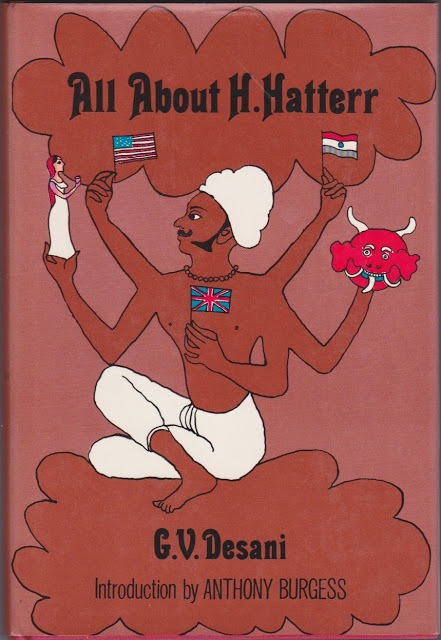 Hatterr, born a year after Independence, was an early example of the only kind of Indian protagonist the Indian novel in English could possibly have: a man on the margins, a hero who belonged to two worlds and to neither. “Biologically, I am fifty-fifty of the species,” writes Hatterr, introducing us to his European, Christian father and his Malay, Oriental mother and swiftly kicking them offstage as he does so. So there you have it: our first bona-fide homegrown, school-of-Indian-writing-in-English literary character was not Indian at all. Decades later, writing in partial homage to Desani, Salman Rushdie’s Saleem Sinai in Midnight’s Children would also be half-caste—Anglo-Indian, in his case. Hatterr belonged to the same no-man’s-land—territory claimed by three of India’s greatest writers, Rushdie, Desani and Saadat Hasan Manto, in works spurred by or written about Independence. And Hatterr, with his permanent logorrhea, his rapidfire, utterly Indian English patter, his frantic capering around a world that includes pukka British clubs and ash-coated fakirs, could belong to Manto’s lonely lunatic asylum. In Manto’s iconic short story, Toba Tek Singh, the lunatics occupy the no-man’s-land between India and the newly created Pakistan; Hatterr’s no-man’s-land, between the Orient and the Occident, is wider, but no less lonely. Readers tend to miss the isolation of Hatterr on first reading: the man proceeds from swami to circus act to charlatan fakir with a frenetic speed and an unstoppable energy calculated to shortcircuit introspection. But it’s there in All About…, Desani’s introduction, showcased as the familiar loneliness of a writer without an audience, a voice rendered loquacious by the fear that he might be talking only to himself. Exactly ten years before Hatterr, Raja Rao had published Kanthapura, struggling, as he wrote in the Introduction: “One has to convey in a language that is not one’s own the spirit that is one’s own.” In the same decade, Mulk Raj Anand had struggled with the “unleavened bread” dilemma in his work, from Untouchable to Across The Black Waters: the complexities of conveying Indian speech, Indian ways of thought, in a language that was at once ours and alien. (Anand often came off sounding like Kipling in reverse, but he did try.) RK Narayan, from 1935 when Swami and Friends was published to 1948 when Mr Sampath came out, had found an easy Indian English that still seems neither forced nor dated. But even in the 1940s, after more than a century of writing in English, most Indian writers struggled to loosen their tongues, to find their own voice. Hatterr invented his own: a mongrel hybrid that transliterated Indian phrases, borrowed and mauled Greek and Latin tags, mocked English-English, and turned language into a three-ring circus, shifting from juggler to trapeze artist to clown. But despite his (and Hatterr’s) best efforts, the book invited analysis. Saul Bellow found that Desani was one of the few writers he could read while he worked on his own novel. Allan Sealy’s Trotternama—another classic that bounces dangerously in and out of existence, like Hatterr, revived by one generation, forgotten by the next—romps down the yellow brick road Desani had built for Indian writers back in 1948. “I learnt a trick or two from him,” Rushdie said once of Desani, and perhaps, more than the linguistic exuberance, what Indian writers received from Hatterr was permission. The book opens with a Warning! and a conversation between an Indian middle-man and the Author. “Sir,” says the middle-man, “if you do not identify your composition a novel, how then do we itemize it? Sir, the rank and file is entitled to know.” “Sir,” says the Author, “I identify it as a gesture. Sir, the rank and file is entitled to know.” But there is, the middle-man explains, no immediate demand for gestures. There is, however, immediate demand for novels, and the Author gives in. Or perhaps not. Desani’s “novel” is really a breathless, joyful performance, a gesture stretched across 316 pages, and perhaps that’s why it remains unforgettable, despite its periodic descents into oblivion. 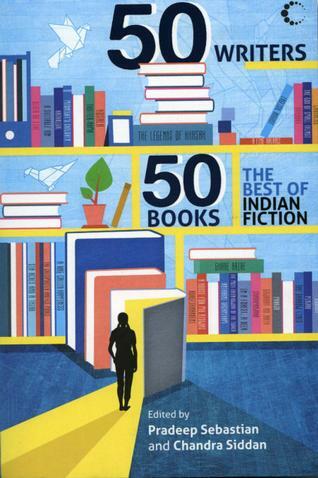 Over the last few decades, Hatterr revivals have depended on the largesse of Western critics and publishers rather than the growing maturity and changing tastes of the Indian reader. And since the West has its own set of classics, and India is reluctant to claim any story that is not a success story, All About H Hatterr remains not so much lost as not yet quite found. Damme, that’s the Occidental-Orientale scene for you.